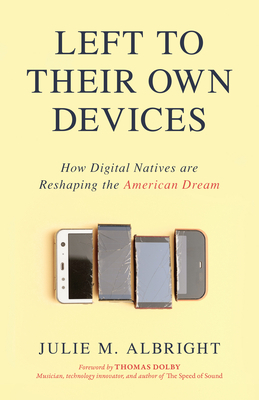 Julie M. Albright, PhD, is a sociologist specializing in digital culture and communications. She is a lecturer in the Applied Psychology and Engineering Departments at the University of Southern California (USC). Dr. Albright's research has focused on the growing intersection of technology and social/behavioral systems. She was the co-principal investigator and project lead for the behavioral component of a $121 million smart-grid demonstration project with the Los Angeles Department of Water and Power, the USC Information Sciences Institute, the Jet Propulsion Laboratory, and UCLA, which was funded by the US Department of Energy. She has also been a research associate with eHarmony. In addition, Dr. Albright has served as a peer reviewer for the National Science Foundation, the Economic and Social Research Council, and a variety of professional publications. The author of a number of book chapters and multiple peer-reviewed articles, she has also given talks for major data-center and energy conferences , including SAP for Utilities, IBM Global , DatacenterDynamics, and the Department of Defense. She has appeared as an expert in such national media as the Today show, CNN, NBC Nightly News, CBS, the Wall Street Journal, the New York Times, NPR, and many others.